Back in the 1960s, Electro Chemical pioneered the first commercial use of fluoropolymer linings and coatings to prevent chemical corrosion. Our innovations and commitment to excellence have continued unabated. Today, Electro Chemical can protect both steel and FRP tanks, pipes, and equipment. We offer a complete suite of materials to manage whatever chemical process you’re working with. Truly a “one-stop” solution. In addition to our broad choice of materials, Electro Chemical engineers have decades of experience you can tap. 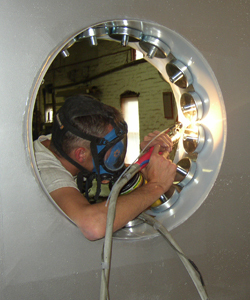 When you’re not sure of the best lining or coating to use, we can offer technical guidance. We’ll strive to ensure your project achieves both the performance and the cost-value results you expect. Not only that, Electro Chemical technicians are equally comfortable servicing your equipment in the field or, when practical, at our shop. Our facility is also ISO-9001:2008 certified. We’ve invested in ourselves to help ensure you receive top-notch service and results with every encounter you have with Electro Chemical. Fluoropolymer or thermoplastic. Liner or coating. Steel or FRP. 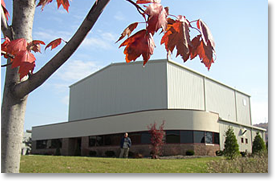 Our shop or your facility. New or refurbished. Whatever you need, we can do. That’s the hallmark of Electro Chemical. against chemical corrosion are second to no one’s.